Bill Gates was the only one cheering and using windows phone in the past, but not anymore. The brain behind the window device, and left his love his invention for good and has moved on to an Android phone. Windows Phone has been rotting in their grave for a few years now, and it seems like the tech giant’s, co-founder Bill Gates has finally accepted his defeat, and has finally moved on from windows phone. Recently Bill Gates revealed in an interview that he has been using an Android phone for quite a few months now, and none the less he is impressed by the experience. However, Bill didn’t shed any light on what brand or model he is using, we are sure it is must be an expensive handset. He also shared that his new Android has more Microsoft software then he imagined, which makes us wonder if it is a Samsung Galaxy S8, which as we all know comes in a Microsoft special Edition. Samsung Galaxy S8 was launched in the market earlier this year and it consists of applications like OneDrive, Cortana, Outlook, and Office. Other android phones also support these apps, but S8 is customized to support Microsoft’s all apps and feature. While Gates, like the new Android change, he still doesn’t want to invest in an iPhone. Bill Gates loved Steve Jobs works and considers him as a genius, he has also been seen praising the tech genius several times in his multiple interviews but refuses to use one his IOS products. 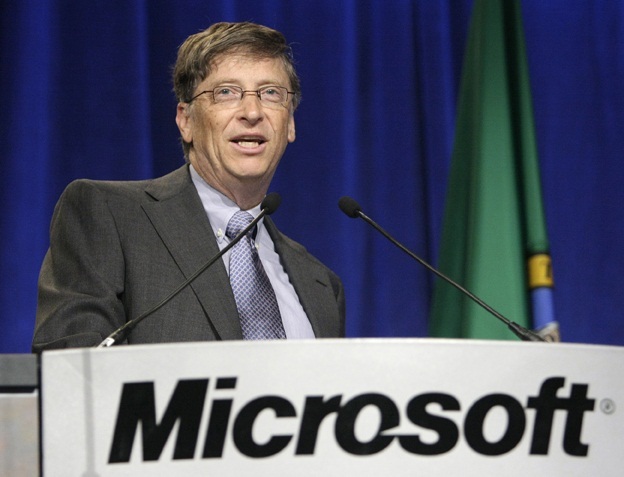 Previously Gates also made headlines, when he banned all iPhone and IPads from his household. Bill Gates is still operating on a windows PC but has finally made peace with the idea that windows phone, were not a very good idea.